People often tell me that they really enjoy reading my currency trading adventures and they would like to make money trading currencies or commodities like oil or gold but they don’t have the time to learn all the methodologies necessary to be really good at trading. If you are one of those people, there is an excellent program called RYZE.Ai by Hodo Global. I can show you how this fully automatic artificial intelligence software program, which I use to generate consistent profits in my trading account, day after day and week after week. Independent analysis shows RYZE.Ai has earned 3.06% per month on average. For more information, please watch the overview videos, read more of my detailed articles, attend a Thursday evening webinar , check for a RYZE.Ai seminar in your area or send me an email or set up a time to talk to me personally. Today I will cover a couple of trades including one involving the Australian Dollar. So, as my regular readers know this gives me an opportunity to share some geography and information about an interesting place in Australia. I am continuing to write about my trading adventures I have been participating in trading. I have also decided to include my own trades on days when there are no Daily Swing Trades and sometimes even when there are daily swing trades. Today there is no new trade called, but there are ongoing trades which I will cover below. A few days ago, I called a Daily swing Trade for the AUDNZD currency pair, which is shown in the screenshot below. I have six positions on this trade which is a lot for me and it is moving in the right direction. I will be very careful about moving my stops on this one. Trade management is every bit as important to your trading success as deciding when to enter a trade. Trade management is often the difference between a winning trade and a big loser. Traders really need to have a plan on how to handle the trade once you are in it. If not I have seen trades that were big winners change direction rapidly and the profits vanish and losses come quickly. Avoid this. Move your stops once you move into profit. I am not saying make them too close, if you do you will always get stopped out. Just manage them as the trade progresses. People who are regular readers of my posts know I like to include some geography or interesting facts about places related to currencies I am trading in my posts. 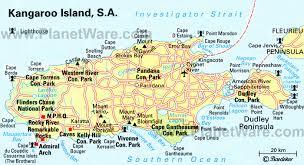 In this instance I am in a trade involving the Australian Dollar so I added some information about a place called Kangaroo Island. Please also check out my travel blog. 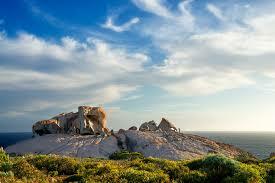 “Discover a wonderland of native wildlife, empty beaches and national parks on Kangaroo Island. 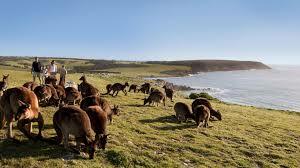 See native wildlife in the wild in the ecological haven of Kangaroo Island. 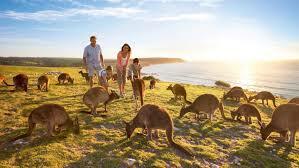 Kangaroos, koalas, wallabies, penguins, echidnas and bird life all call this island home. Walk amongst a colony of endangered Australian sea lions at Seal Bay. See sleepy koalas in the trees. Load up on fresh produce – from Ligurian honey to free range chickens and eggs – and wine produced by 30 growers from Cape Willoughby to Kingscote. The Island is also home to breathtaking scenery. Rugged coastal cliffs, sheltered bays cupped between steep headlands, vast native bushland and rolling hills of farmland are just some of the breathtaking landscapes on offer. 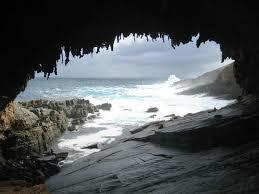 Some of the sights you can see at the Kangaroo Island. Today there were no new trades called either by the service I was evaluating or any I did on my own. So, a pretty dull trading day. However, there is a trade in progress that is in profit and looks to be really good. So, I am not complaining. Anyone who is now ready to join me in my Forex trading, click here. This entry was posted in Xin's Trading Adventures and tagged currency trading, goRYZE, goTripSpin, Hodo Global, Ryze.ai, RYZE.Ai Software on September 2, 2017 by Xin Zhang.